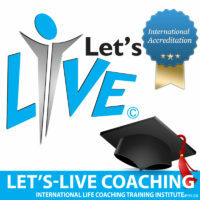 At Let's-Live Coaching we cultivate a SPIRIT of wisdom, integrity and understanding. The central theme of our courses celebrates the uniqueness of each individual. Our faith, love and unique appreciation for people compel us to see every person in the full stature of their original authentic blue print and design. Every teaching and course bears witness to the weight and value of who we really are. Every technique unleashes streams of living waters from within every human being. Every programme ignites a spark and brings forth a fountain of light and unleashes an infinite sea of possibilities from within the very core of our being. This happens in the SPIRIT of our mind, on a much deeper level than a mere intellectual and academic consent. In this atmosphere spontaneous growth is inevitable. The reality of an intimate sustainable and fulfilled life is no longer just another luxury or opinion but becomes the conclusion of our faith and believes. Our intention: It is our intention to appeal to every man's conscience to arise to new levels of choice and liberty. Our desire for every man is to become intimately acquainted with their origin and design, so that they may be dynamically reinforced in their inner being by the Spirit of Truth. Our Mission : Our mission is to make every man see and collectively grasp the limitless extent of their inner reservoir of potential and super human strength. Our teachings and techniques reach far beyond the reach of a mere academic and intellectual grasp. Our courses are carefully designed to release a new dimension of thinking and expression that leads the way to find our SPIRIT and inner core of our being. We are thrilled with the idea that people from more than forty countries and nationalities have enrolled in many of our advance life coaching courses. More specifically our course material is based on the study and work of: Clare Graves, Leslie Cameron-Bandler, Wyatt Woodsmall, Richard Bandler, John Grinder, Tad James, L. Michael Hall and Bobby Bodenhammer, Anthony Robbins, Deepak Chopra, Robin Sharma, Daniel Goleman, Francois du Toit, Paul Ekman,Francois Janse van Rensburg, John Kehoe, Marc Steinberg, Milton Hyland Erickson, John Maxwell, Wayne Dyer and Jonah Lethrer.